Seems MTN saw that they lost a lot of users as they blocked MTN Bis users from browsing on non blackeberry devices, so to cut the long story short, MTN Bis users can browse again. So to be able to continue browsing using MTN Bis please change your protocol on any Tunneling software to ICMP. Tunnel Guru users please do as stated in the screenshot below. Android users change your protocol in Troid VPN to ICMP . We will keep you updated if any changes..
@Osakue u re welcome, always come around so you can be updated. 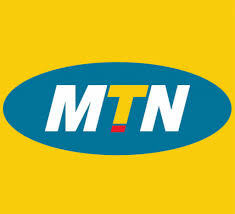 @ chrus odu ,mine is not working , i have try to cpnnect the new MTN setting yet is not working ... what do i do please ? @Femilarge whats the main error u get? Pls hw do I start d configuration,do I need a modem apart from my bb,bis n laptop? @Akeju, u can use ur bb if you don't have a modem, by making use of blackberry desktop manager. Yes u will need bis. @chris mine is not connecting. guess they have blocked it again.